So I thought it was a permission issue of a file/folder that I did not have permission to read. So I went to file information (File > Get Info) of the folder and under “Sharing & Permissions”, I made sure that I had read permissions and clicked “Apple to enclosed items” (I believe this applies the permission rules to all sub files and folders recursively). I tried copying the folder over again and the error dialog persisted. Wasn’t too sure why it still happened so I tried cleaning out the dot files using the “dot_clean” command from Terminal and viola! Copying went on without a hitch. Now how the heck do I resize something when I can’t even see the buttons nor the bottom right window resizer? I tried clicking/resizing on the window but to no avail. No shortcut is available for OS X to resize or maximize the window (one of my issues with OS X). 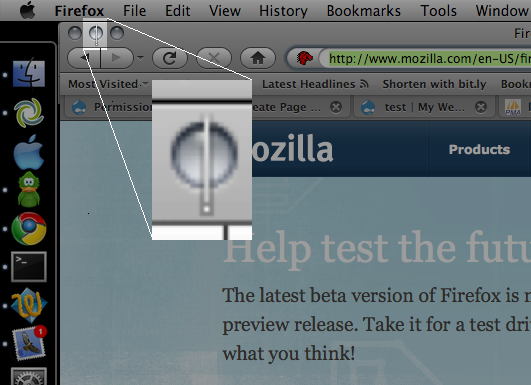 Thankfully I found Right Zoom that enables me to maximize a window using a keyboard shortcut. Selected the window using Command + ` after Command + Tabbing onto the Firefox icon, pressed Command + Shift + E to maximize and there I found my download window back again! Phew.. Right Zoom was created to change the default behavior of the Zoom button in OS X to make it behave like Window’s and Linux’s Maximize button. It also lets uses assign a customizable keyboard shortcut to maximize the window. As I won’t have my Alt+Space, X as I have in Windows, this is the next best thing. Right Zoom runs in the background and is probably something you want to start automatically when you login (System Preferences > Accounts > Login Items). Now this would be nice to have for all applications but due to the fact that for each application the menu item to close the application is based on the application itself (e.g. Mail = “Quit Mail”, Safari = “Quit Safari”), it is plain to see there is no easy way to cover all applications. 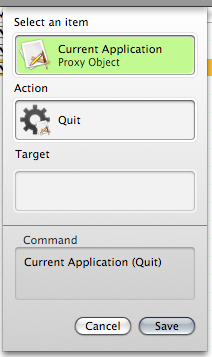 Also, as mentioned, it works only for Cocoa applications, so this wont work in applications like Firefox. Also some applications like NeoOffice will still respond to Command + W. So had to search for other alternatives. For Firefox you can configure Firefox to prompt to confirm closing if there are multiple tabs open and there are probably extension that may help prevent the closing of the browser, but I wanted to find a complete solution. So after much Googling I finally found this blog post on disabling Command + Q with Quicksilver by using triggers. So now when you press Command + Q the application no longer closes and gives you an little beep indicating no action is assigned to the shortcut. What if you still want a shortcut to close it? Just add another trigger! So the other day I actually took my brother’s Apple iBook G4 (1GHz) out from his cupboard (he did give me permission to use it, so don’t be emptying your sibling’s cupboards looking for things..) and finally tried to use it. He got it the year he left Singapore meaning it is about about 4 years old. I’ve been wanting to get a Mac to explore the OS X world so I thought this would be a good starting point. Mind you I have played with a few MacBooks over the years but nothing long term enough to get the full experience. Let me start off by saying that Exposé is a fantastic utility which I’ve had the chance to use in Linux thanks to Compiz Fusion or for those technically challenged due to proprietary drivers or just have difficulty getting Compiz Fusion running there is always Komposé. I like the fact that you can zoom in and out using (Cmd+Alt+=) / (Cmd+Alt+-) along with other accessibility options e.g. switch screen to black and white (Cmd+Alt+Ctrl+8), things which Compiz Fusion yet again has copied (piracy is the best form of flattery huh?). So those keyboard shortcuts stated above lead to the first problem (aside from the single mouse button): the new and “new” keyboard keys. There is the Apple/Command key that has an Apple icon on the left and ⌘ icon on the right which (for switchers from Windows) would tend to associate with the Windows key. There is the fn key which most laptop notebook users will be familiar with and then the alt/option button: it is the regular alt button next to the ctrl but has the word “option” on it as well so it’s the alt/option button. So as a user trying to find the “right click” that you are so used to in Windows/Linux/BSD you are supposed to hold down one of these buttons and click the mouse button to get the context menu. So which button do you press? My first thoughts would be the fn or Apple key.. How wrong I was; it is the Ctrl key. Then it makes me wonder what happens to selecting files one by one with the mouse since I can no longer Ctrl+left click to select individual files, adding them on to the currently selected group. Now that has moved to Cmd+click. This kind of “remapped” keyboard modifier shortcuts are prevalent in applications as well. For instance in Firefox to create a new tab it is Cmd + T. To cycle through tabs it is still the Ctrl + Tab though. So my fingers (and thus me) are getting frustrated doing the finger dance trying to find the right key combination to achieve what I want. Cmd+Tab for the windows/application switcher (similar to Alt+Tab for Windows) does NOT show all windows open. For instance if I have only 2 Finder (equivalent to Windows Explorer / Nautilus / Konqueror / any file manager) windows open and I Alt+Tab Cmd+Tab I will only see one icon representing Finder despite having 2 windows of it open. So the alternative to that is to use Exposé, but alas the problem with Exposé is that if you minimize a window it won’t show up in Exposé. So this will make you change your style of work if you tend to minimize your applications. I guess the way OS X discourages you from minimizing applications is the fact that the green + button in the window title bar, which people would think is the “maximize” button isn’t the typical maximize button it is a smart maximize button which expands the window to an optimal size thus in other words it will probably NOT (actually I haven’t seen it ever) expand and do a full screen maximize like in windows (minus the task bar), thus you will be able to see windows in the background which I read/heard somewhere is supposed to help productivity. How true that is, I do not know. But anyway so typically in Windows / Linux I will Alt+Tab through my windows/programs to select the one I want which is something I cannot do in OS X. The alternative is to leave all windows open and just use Exposé. I have to give props to Exposé that it can be navigated through the keyboard as well though, but still the minimized caveat is still an issue. An alternative is to use Cmd+Tab to select the application then Alt+` to select the window (Alt+` cycles through the windows of the same program, e.g. 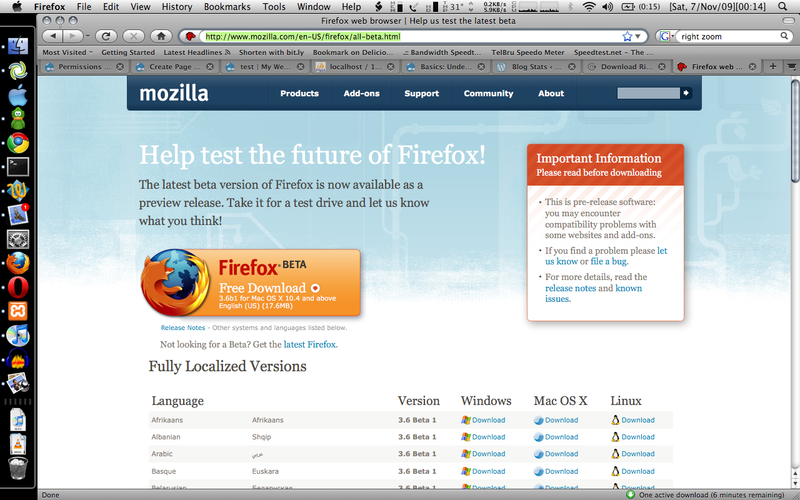 Firefox and the Firefox download window / another Firefox window). Cmd+Tab apparently does not restore minimized windows so you have to go to the “Windows” menu or select the window from the minimized windows section in the dock. Oh the trouble. I like to be able to access the menu bar of my applications, you know bar on top with all the menu’s typically starting with File, Edit and View. I access them via the Alt+key_letter shortcut (e.g. File: Alt+F, Edit: Alt+E, View: Alt+V), for just Alt to focus on the menu bar and use the cursors/keyboard shortcut to navigate. This could not be done by default or in the usual fashion. When looking online I saw the shortcuts given to access the menu bar was Ctrl+F2 but when I tried it, it didn’t select the menu bar, it just increased the brightness…. 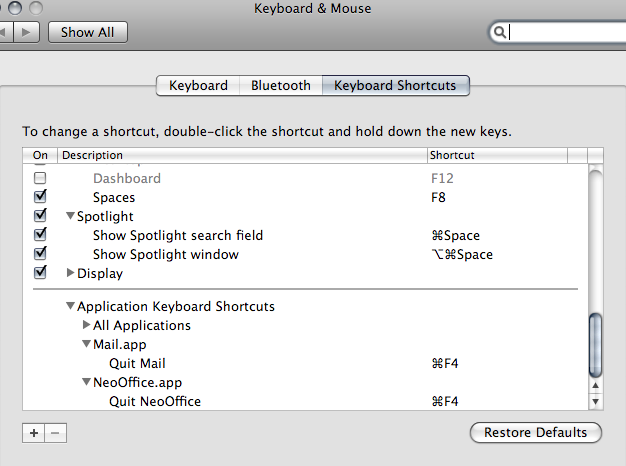 I found out one day when I went into the Keyboard & Mouse preferences in System Preferences. Apparently the fn is only for laptopsnotebooks so you have to check an option (Use the F1-F12 keys for custom actions) to force the use fn in order to access the custom actions (in this case increase screen brightness) and after that it worked. I’m pretty sure the default configuration is unchecked because my bro isn’t as much of a keyboard user as I am (got confirmation from Nick that it is unchecked by default). The issue I have is that it highlights the main application menu and thus I can’t do a quick jump to different menus. Also the shortcut (Ctrl+F2 is an uncomfortable one compared to Alt). 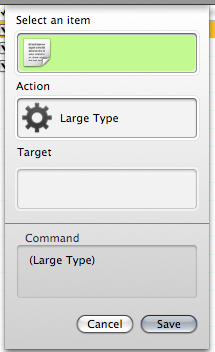 Be wary of Ctrl+F1 for this toggles this ability without making any notice of it, even in the checkbox setting. Now that is strange. Let me take issue with the checkbox main description as well. It says “Use the F1-F12 keys for custom actions” and in the smaller print “Hold down the Function (Fn) key to perform the custom action of the F1-F12 key.”. It is a bad main description because when I first read it I was like but it already performs the custom action without the box checked so what’s the point of the option. Only then did I read the smaller print and found my answer. Also there should be a “Restore to Default” button in case you mess things too much. This is something I believe all configuration windows (i.e. all applications on all OS’s). On a side note the windows menu shortcut (Alt+Space) is not existent and just have to use Cmd+M to minimize. Select a folder in Finder and try using the keyboard to enter it. The Enter button which sounds good right? Wrong! Not only does it not enter, it highlights the name in order for you to rename the folder. Cmd+Down is the answer though. I honestly do not get that. Why make the single intuitive keystroke into a strange convoluted 2 button action? So I know that the previous 5 issues I’ve had were all keyboard related but that is a big deal for me but the next method of user input is the mouse and OS X has my despised foe: mouse acceleration. I have always disliked mouse acceleration because it is not a definite or predictable manner to move the mouse. For those who don’t know what mouse acceleration is, here is a simple scenario. Move your mouse onscreen cursor to the left of the screen. Now move your mouse slowly from the left to the right over a certain distance. Now repeat that but this time moving much quicker. If the mouse cursor is roughly at the same place you probably have acceleration off, but if it is way off, acceleration is on. I’ve hated it ever since I’ve played first person shooter (FPS) games where you need to aim with your mouse and want your mouse movement to be consistent with how the view in game moves. If I move my mouse 5cm on the table I want my cursor to move a fixed distance on screen despite how slow/quick I move my mouse. That gives predictability and thus control of my mouse cursor. Now if you have mouse acceleration on and you have excellent control over your mouse I applaud you for being able to do all the math calculation in your head because I certainly can’t. There simply isn’t a visible option for disabling it aside from going to the terminal and typing the following, after which you need to logout and log back in again for it to take affect. For some reason when I enable this and when I move the cursor via the trackpad it moves a little bit after it reaches the destination for no apparent reason. It’s hard to explain so I uploaded a video below. And this annoys the heck out of me because I can’t select items properly as the cursor ‘happily’ moves off the element I was previously hovering over. This could be a hardware issue though, wonder if I can get confirmation of this else where though. 7. Second class citizenship for old systems? So I admit this is an older machine running 10.3.9 and I have issues with that. Firefox 3 is not available for the older system thus I have to use Firefox 2, thus losing out of all the new features and so forth. Next I wanted to download Quicksilver which is a great application for the Mac and is cloned for Windows in Launchy and for Linux in Gnome-Do / Deskbar / Katapult. The link for the older version which is compatible with 10.3.9 is apparently broken for Firefox 2 though I does work with Safari which is a relief. Imagine trying to get software compatible for your aging system only to be locked out due to the browser not supporting the website the website not supporting the browser. So I guess major releases (10.3 to 10.4 or 10.4 to 10.5) are treated as new operating systems if you come from the Windows world, considering that you have to pay for upgrades as well. Support for the older systems are apparent from the software availability (or lack there of). Thus 10.3 could be equated to Windows ME, 10.4 to Windows XP and 10.5 to Vista. And saying that older systems if you choose not to upgrade or if you can’t upgrade (due to hardware requirements) you are left in the dust. So that means assuming you do not upgrade the OS, Macs have shorter productive life spans than Windows machines because you quickly get software that only works on the new version of the OS. P.S. I wonder if the NTFS support is better now, previously when I installed the NTFS read/write driver the transfer speeds were dismal. But for now I guess I’ll stick with Linux and possibly seek Windows audio and video editors as one of the reason for getting a Mac was to look into those applications as well. But on the bright side that means I could possibly buy a new desktop for my current needs (maybe), a netbook, a phone (Nokia E51) and Vista? Ahhh I don’t remember having a wish-list like this before.